Please select dates and click "Search" button to find available room in Inntel Hotels Amsterdam Centre. 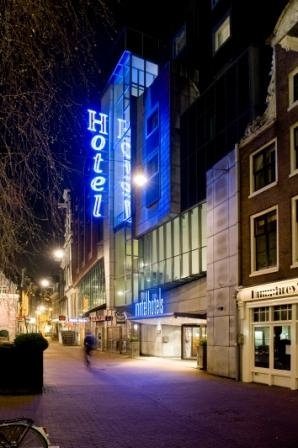 Inntel Hotels Amsterdam Centre is situated in the heart of the historical centre and within walking distance of the many shopping streets, department stores and other attractions. On foot: less than 10 min. walk from Amsterdam Central Station or 1 stop by tram nr. 's 1-2-5-13-17 or 20. By car: From Schiphol: ring Amsterdam West A10, Exit S102 of S103 direction Centrum/Central Station. From Utrecht: Ring Amsterdam Oost A10, Ring noord A10 Exit S116, through the Y-tunnel, Follow the sign "De Kolk". Guests can benefit from 25% discount at garage 'De Kolk' Please be aware that the discount will be not applicable when driving in with your credit card.